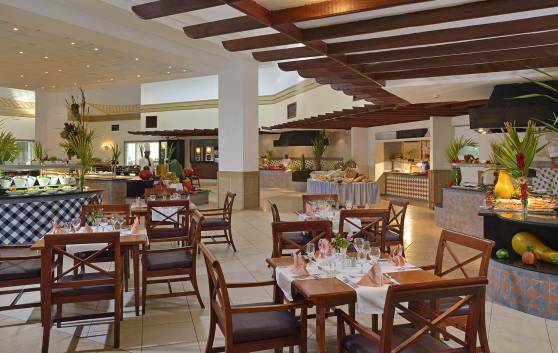 To enjoy an intimate dinner with the stamp of the cuisine and the attentive Sol Meliá service, we suggest that you visit the restaurant “Don Guillermo.” It boasts menu service and a select list of international dishes. In a captivating atmosphere and with an elegant decoration, it is the ideal place for your romance nights. Here you can enjoy your dinner by the light of candles and with live or piped music. 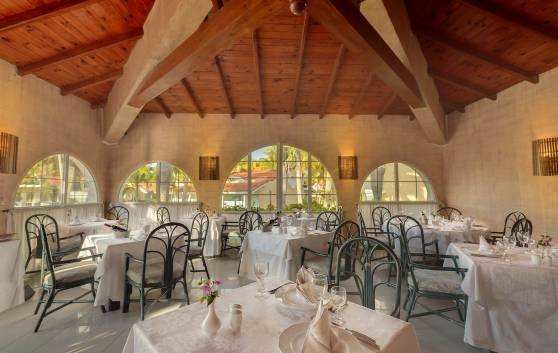 This restaurant offers clients a romantic moonlight dinner and the caress of the gentle sea breeze. Three live cooking areas for all tastes ranging from delicious salads, exquisite national and international specialties and mouth watering pastries. There’s also a Kids Corner for the youngest members of the family with lots of activities for children to enjoy. 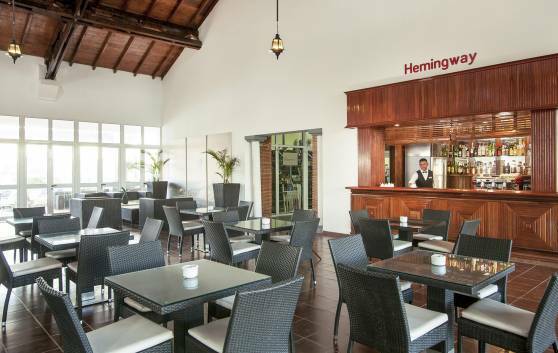 Named after the villa of the legendary American writer, Ernest Hemingway. 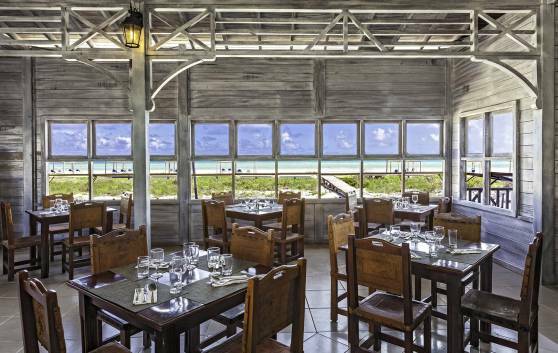 The restaurant is located on the beach so that guests will not lose a single minute of sunshine. 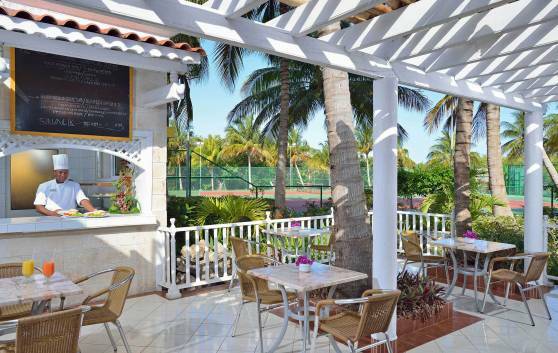 Enjoy its excellent à la Carte and mini-buffet service in a cool, tropical ambience. The best Cuban cocktails mixed with national refined rums. 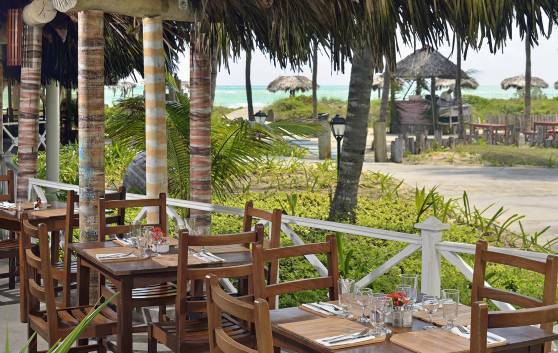 There is no better place to savor a delicious daiquiri or a refreshing mojito than in this bar, where guests can gaze at the beautiful turquoise sea as it kisses the white sand beach at Cayo Guillermo. The Lobby Bar offers personalized service and the best Cuban cocktails and international drinks. 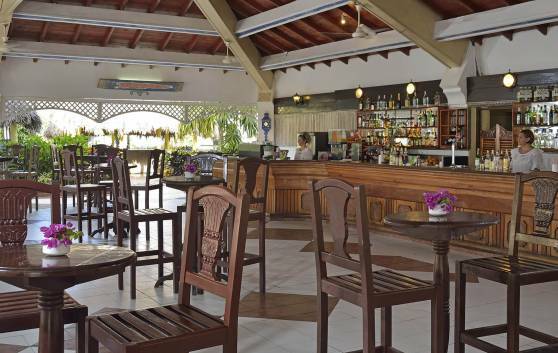 Built on a small island and joined to the hotel by a small rustic bridge, this bar offers a wide assortment of national and international drinks. 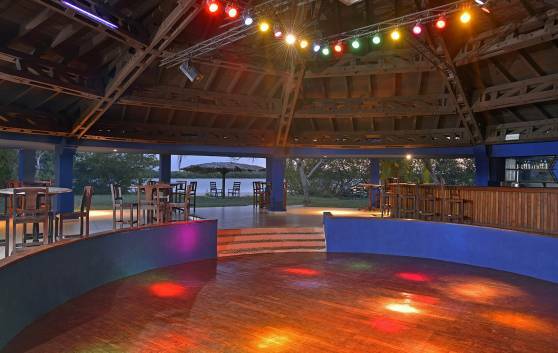 Our magnificent professional team will assist you in dancing traditional Caribbean rhythms and Cuban salsa. A favorite spot for enjoying a moment of leisure as you sip your favorite drink in the pool recreation area. Cuban and international cocktails, sandwiches and pastries served.